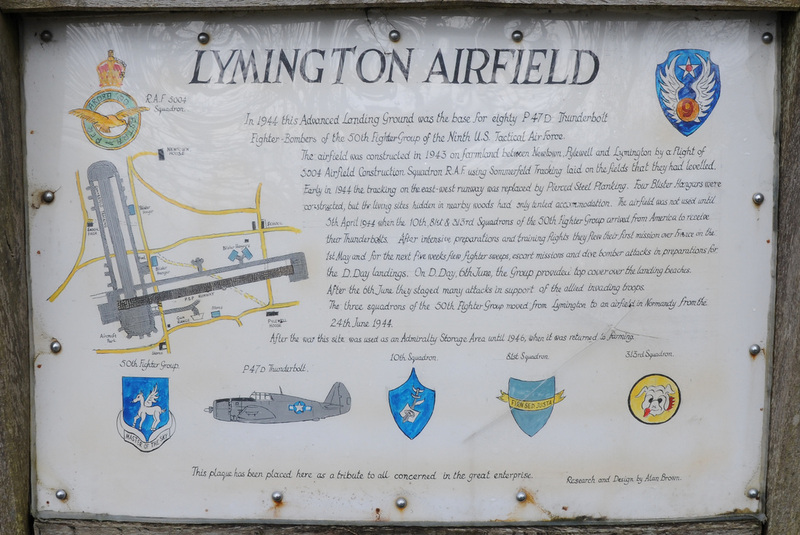 Lymington Advanced Landing Ground is situated about a mile east of the town of Lymington in Hampshire. Two temporary runways were laid with Sommerfield Track one aligned west - east at 4,800' and the other north - south at 4,200'. Several blister hangars were erected together with limited maintenance facilities. During March 1944, the American 50th Fighter Group from the 9th Tactical Air Force moved in. ​Little in the way of home comforts existed at the airfield. Headquarters staff found themselves in the more fortunate surroundings of nearby requisitioned houses whilst lower ranks would be accommodated in tents, but at least the weather would be improving given the time of year. 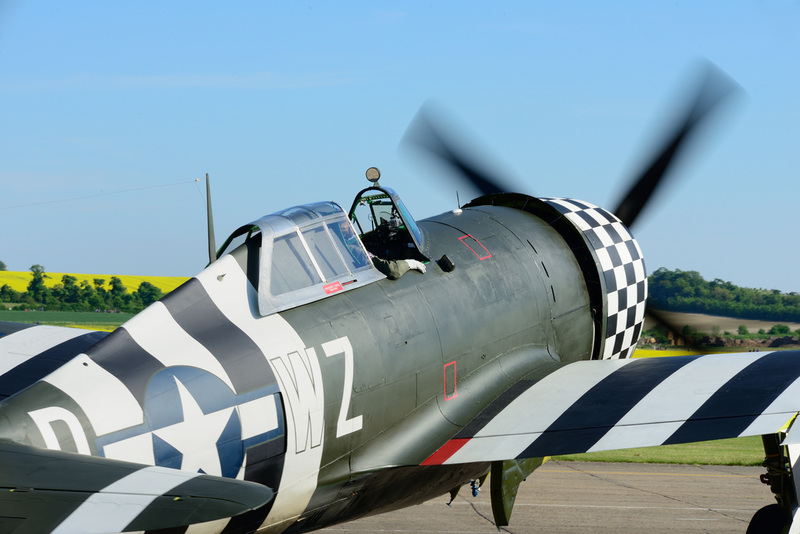 ​The 50th Group comprised No’s 10, 81 & 313 Squadrons flying Republic P-47D Thunderbolt fighter aircraft. Identification markings for the squadrons were - T.5 (10th), 2N (81st) & W3 (313th). On June 10th a Staffel of Messerschmitt Bf 109s were encountered with three being claimed as shot down for the loss of one Thunderbolt. In total six P-47s were lost flying from Lymington which equaled the kills claimed by the 50th for their time flying from the airfield. By early July 1944 only a small holding party remained at Lymington with just an occasional emergency landing taking place. With such little activity the field was de-requisitioned with the tracking and most of the facilities removed. By spring 1945 the site had returned to agriculture. Very little remains today to show the airfields contribution to the allied war effort. The North - South runway still exists but there is no sign of the East - West. 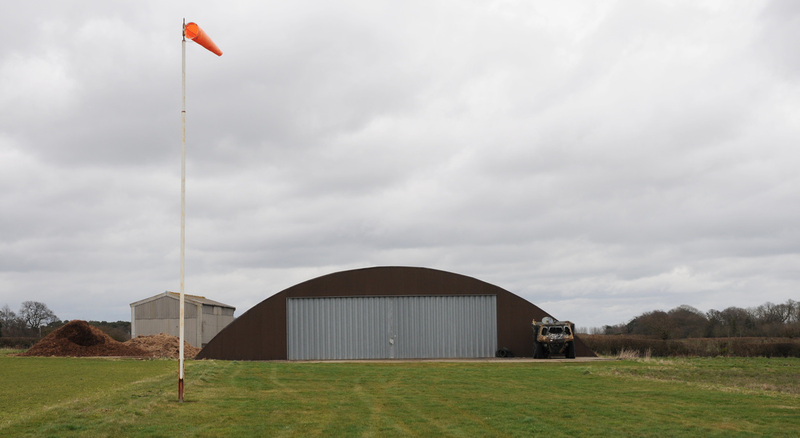 One blister hangar is still in-situ and appears to house a light aircraft, so flying does continue here.